One in five children have learning and attention issues, or brain-based challenges in reading, writing, math, organization, focus, listening comprehension, social skills, motor skills or a combination of these, according to the National Center for Learning Disabilities (NCLD). 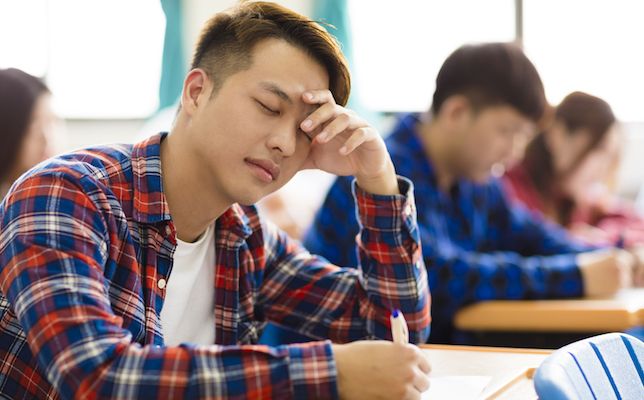 In a new report, the NCLD examines why students facing these issues are three times more likely to drop out of school. For “The State of learning Disabilities,” the NCLD used “recently released data for the 2015-2016 school year and other field-leading research to shine a light on the current challenges and opportunities facing the 1 in 5 children who have learning and attention issues such as dyslexia and ADHD,” the report’s introduction states. Offering up statistics, first-person stories, recommendations and more in the report, NCLD looks at how specific learning disabilities (SLD) can impact student success, starting in K–12 and moving on to college and the workplace. For starters, the NCLD found that only a small subset of students are formally identified with disabilities in schools, despite the prevalence of children with learning and attention disabilities. As a result, many K–12 schools lack specific policies and other supports to help these students achieve academic success and career readiness. Only one in 16 public schools have Individualized Education Programs (IEPs) for SLD, for example. Students with IEPs were 85 percent more likely to repeat a grade than their peers without disabilities in 2013-14, according to the report. The United States Department of Education set forth guidelines on how to use IEPs to set high standards for students with disabilities. In addition, learning disabilities is the largest of 13 categories covered under special education law, accounting for nearly 39 percent of students receiving special education in 2015-16, says NCLD. Yet, one in 50 public schools receive special education funding under the civil rights statute Section 504. It isn’t that these students can’t be diagnosed and helped; new research “is deepening our understanding of the differences in brain structure and function in children with learning and attention issues,” the report states. “Brain scans and other tools are also helping researchers measure the biological impact that instructional interventions have on children who learn differently, including those with dyslexia, ADHD and other issues.” However, delays in SLD identification persist and many students struggle for years before receiving help. As a result, they face a number of challenges on their own. Individuals with learning disabilities are three times more likely to drop out of school, the NCLD found — 18.1 percent compared to 6.1 percent for the average dropout rate of all students. These students are twice as likely to be suspended. Additionally, chronic absenteeism is a problem, with 19 percent with IEPs missing three or more weeks of school each year. Notably, these challenges impact students across all races and ethnicities, but low-income, minority and English language learners are more likely to identify having a SLD. The report also touches on the stigma surrounding learning attention disabilities — how students with SLD are often seen as lazy or unmotivated to learn in classrooms. The NCLD says these perceptions can contribute to the fact that some students won’t disclose that they have a learning disability. Parents only follow doctor recommendations on SLD about 54 percent of the time. The good news is that “with the right support, students can achieve at high levels,” the NCLD wrote, emphasizing a need for targeted policy reforms and more research into evidence-based solutions to curb dropout rates for these students. The NCLD noted a few states are beginning SLD identification in children ages 3-5, including California, New York, New Jersey and Iowa. In Kansas, for example, educators use a multi-tier system of supports to help educators use data-based decision-making in a specific subject like math or reading. Specific state progress can be found in the “State Snapshots” section of the report, which offers two-page summaries for each state, highlighting key data points in comparison to national data in areas of special education and retention rates. To view the full report, visit the National Center for Learning Disabilities site.